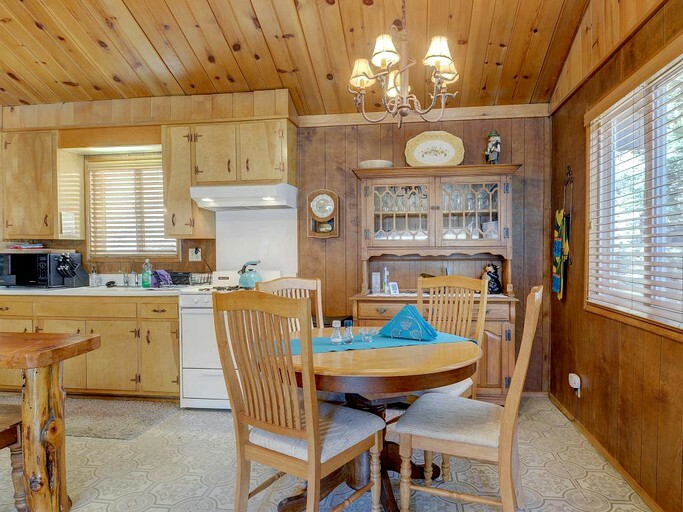 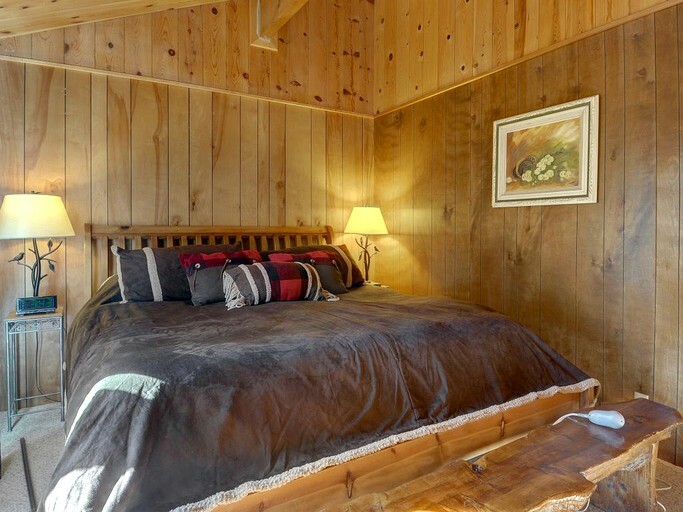 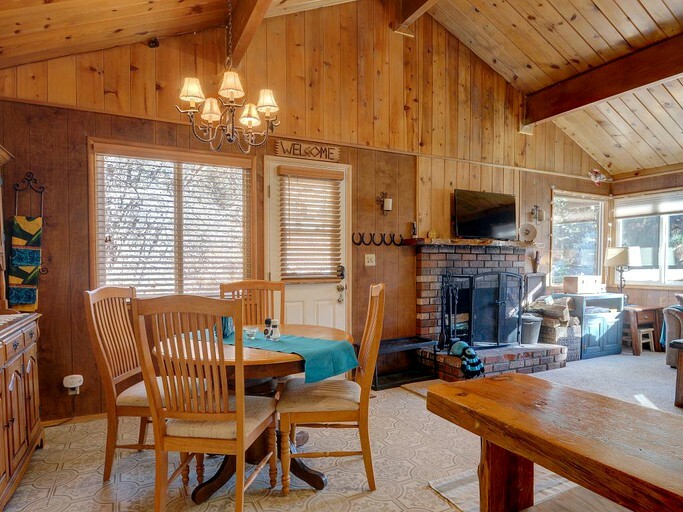 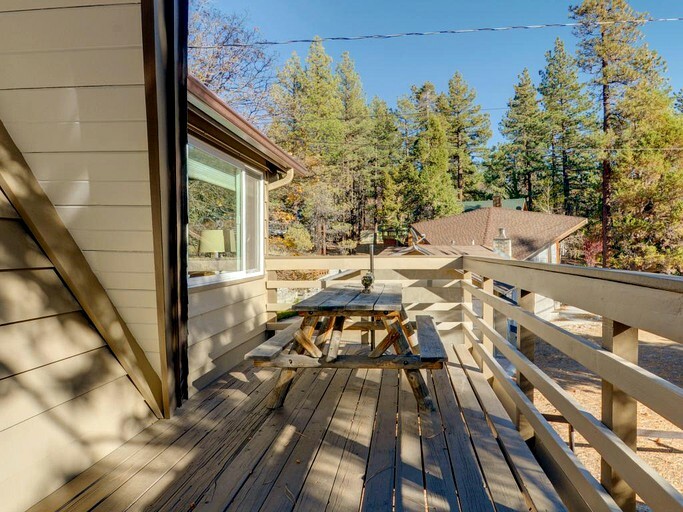 This inviting cabin in Big Bear Lake, California, is nestled in the heart of the San Bernardino National Forest and accommodates up to five guests. 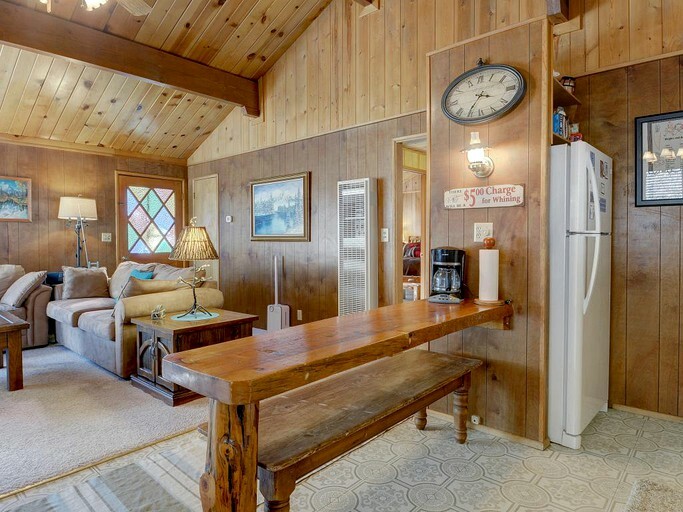 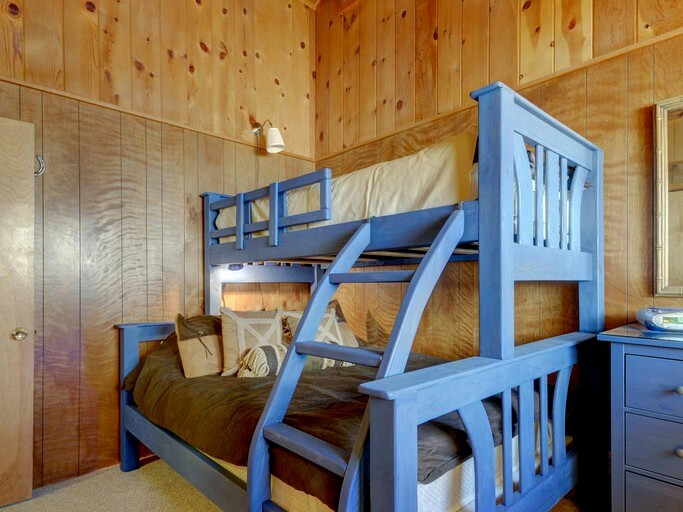 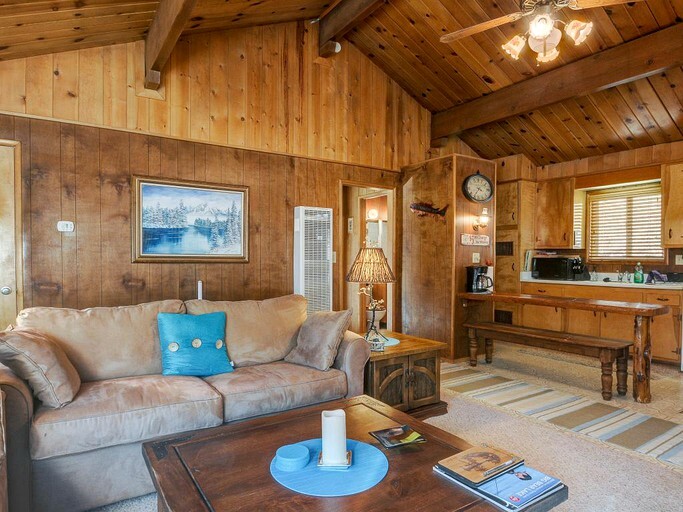 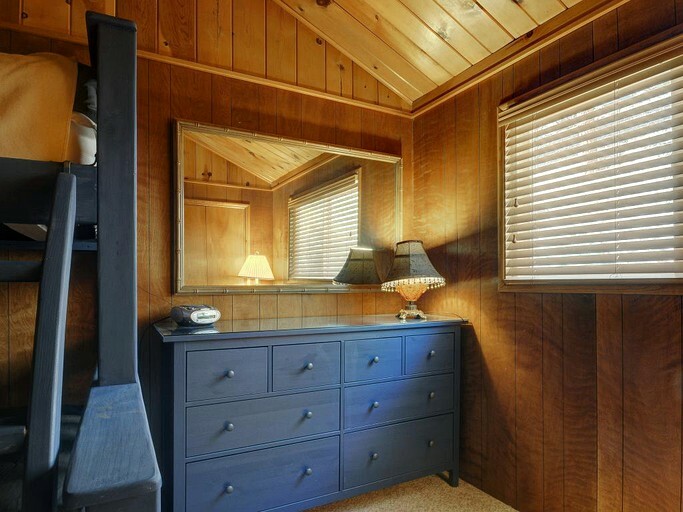 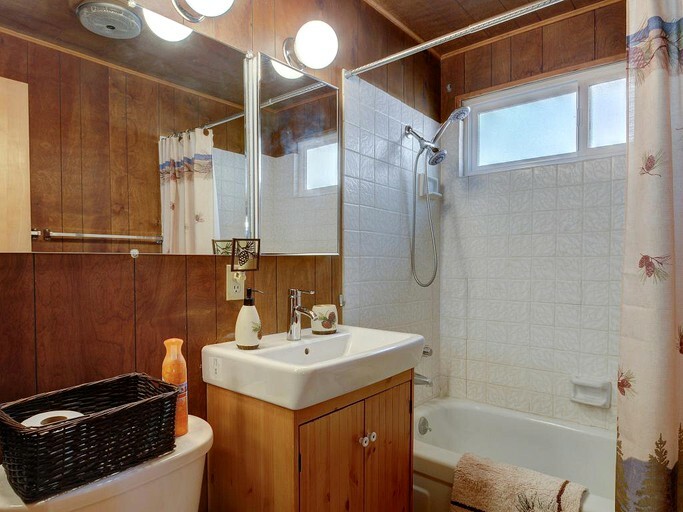 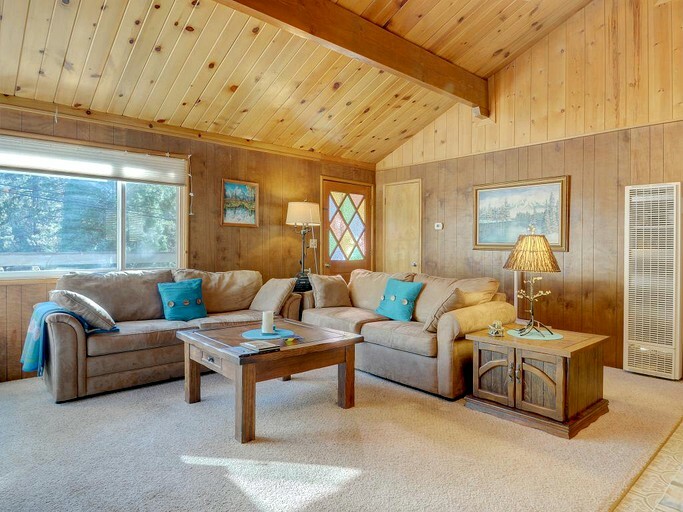 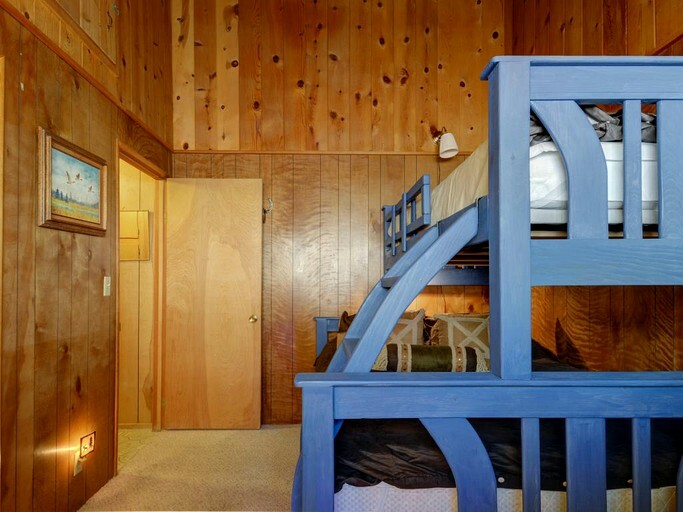 With its open floor plan, wooden paneling, and high vaulted wood ceilings, the cabin has an airy and bright feel. 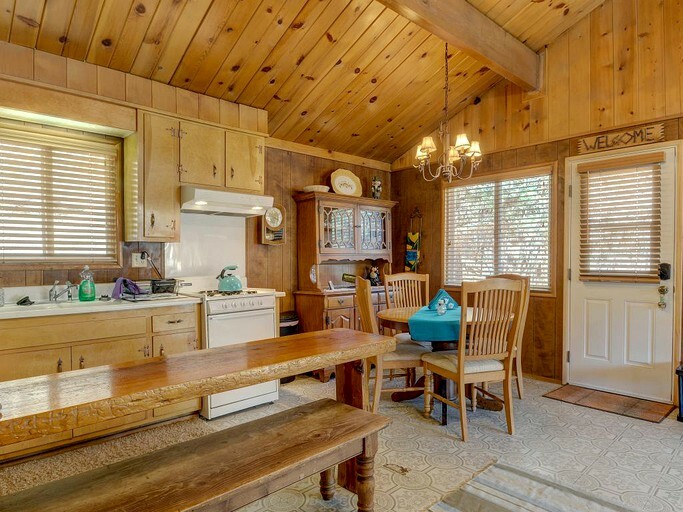 Its rustic-chic décor adds an element of the great outdoors with the comfort of a home. 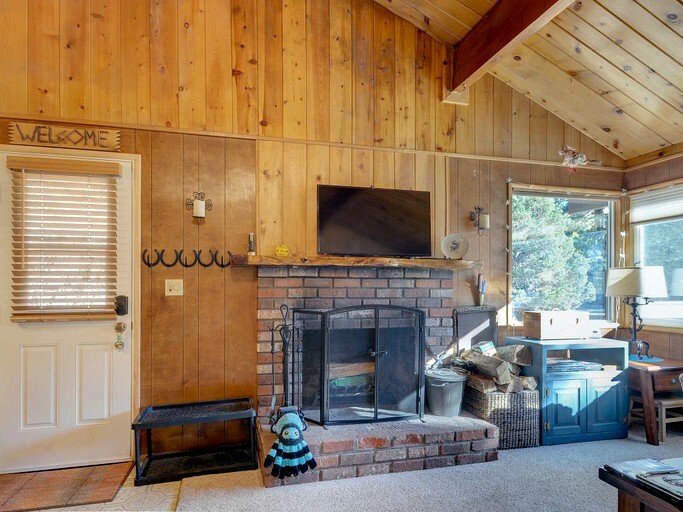 The great room boasts comfortable sofas, a cozy brick fireplace, a dining table, and an adjacent fully equipped kitchen with a long bench table, perfect for the kiddos. 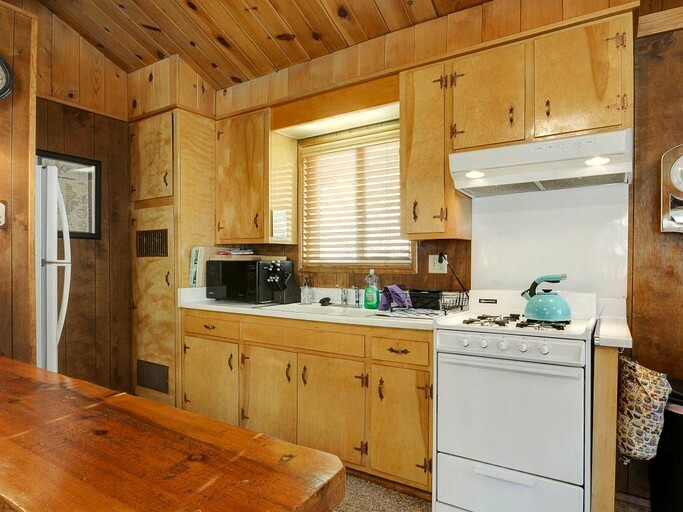 The cabin comes equipped with Wi-Fi and cable television so that glampers can stay connected. 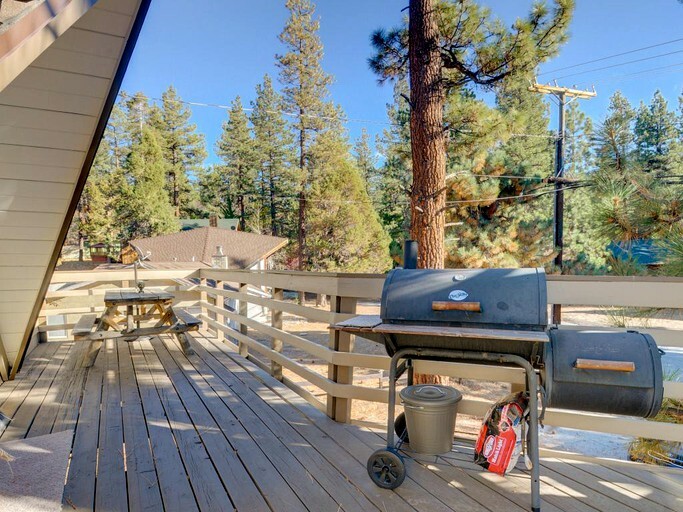 An outdoor gas grill is also available for guests wanting to grill out and enjoy the surroundings even more. 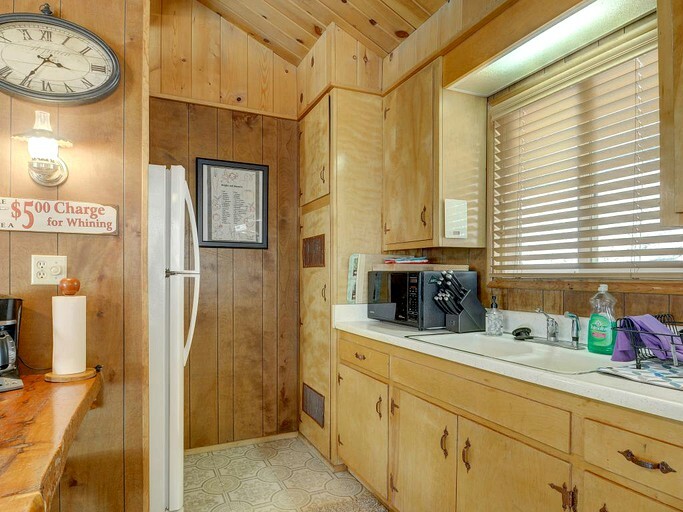 Guests are in for a real treat here in exciting Big Bear Lake, California. 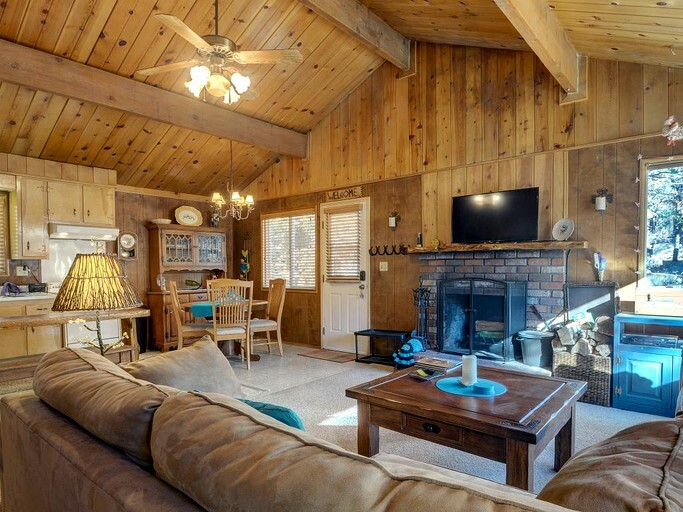 While the cabin’s immediate surroundings are calm and rejuvenating, guests will find more adventure than they could ever imagine just a short drive away. 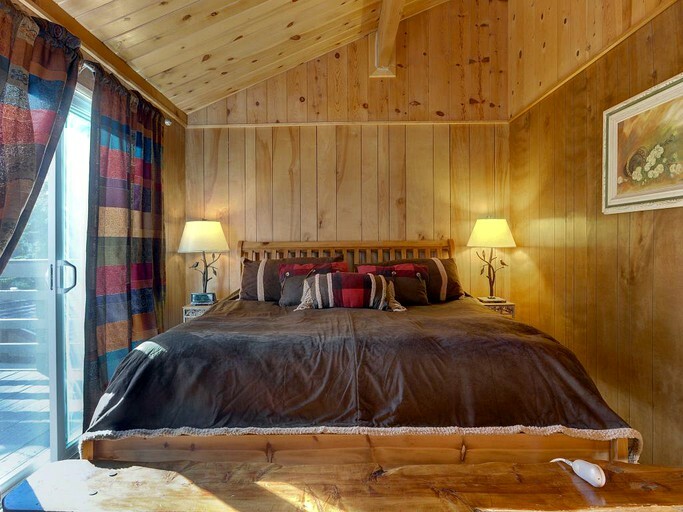 Glampers can spend a day skiing, snowboarding, and tubing the impressive slopes at one of the neighboring ski resorts, Bear Mountain and Snow Summit. 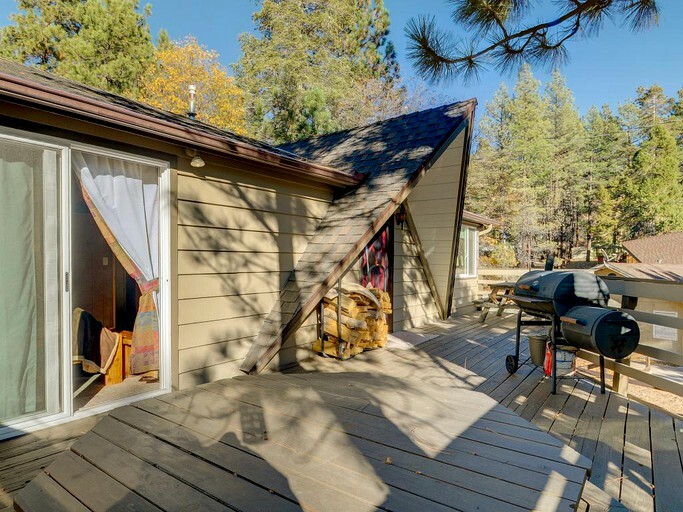 Big Bear Lake also provides a fun place for many outdoor activities such as fishing and boating. 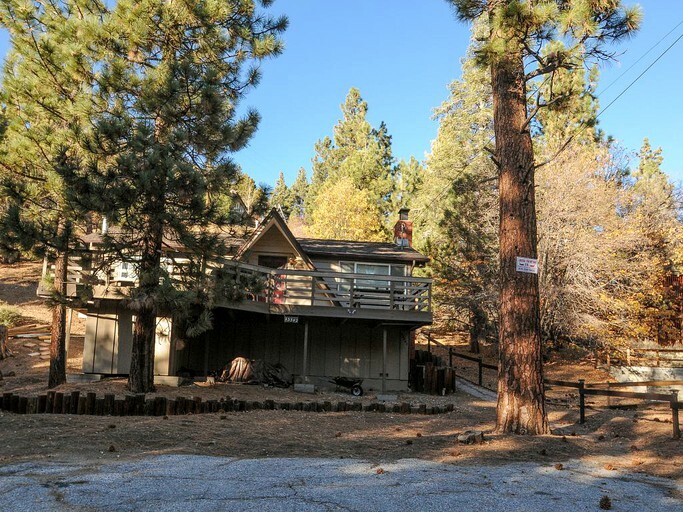 Those who love to fish will be wowed by the size of the trout, catfish, and largemouth bass they are likely to catch in Big Bear’s waters. 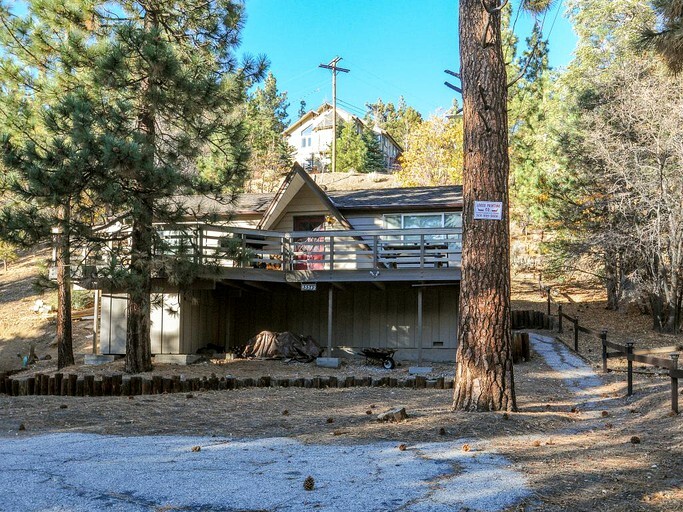 If glampers are looking for some breathtaking views, they shouldn’t miss the trails winding up to San Bernardino’s various mountain peaks, which can be reached on foot, by bike, or on horseback. 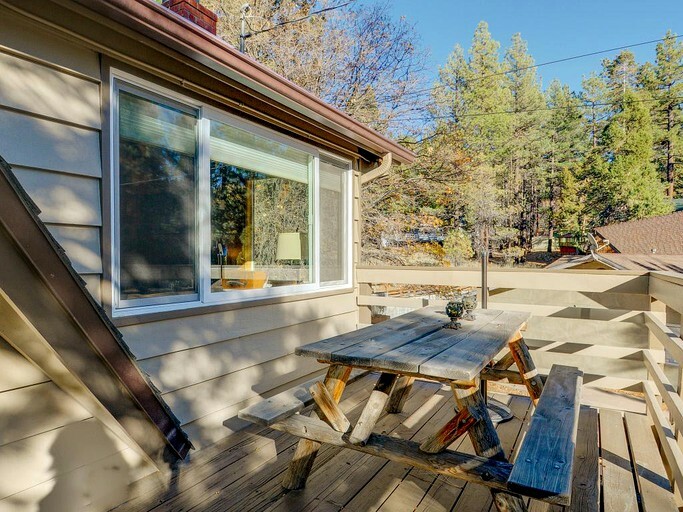 When the day is winding down, there are many delicious dining options in the town of Big Bear Lake, even some that are lakefront for a lovely view. 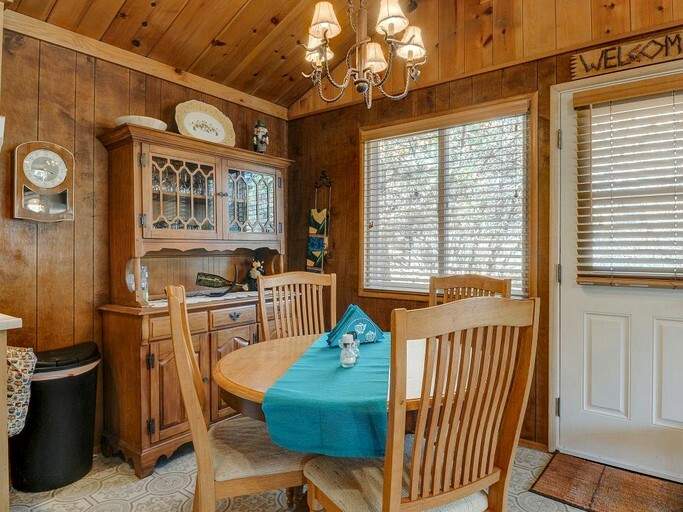 For something sweet, guests won’t want to miss the famous Village Sweet Shoppe. 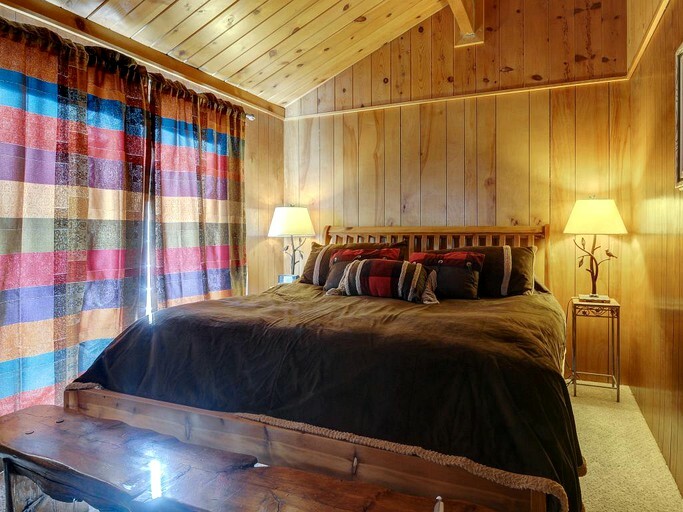 Guests should be aware that four-wheel drive or traction may be required during the winter months.